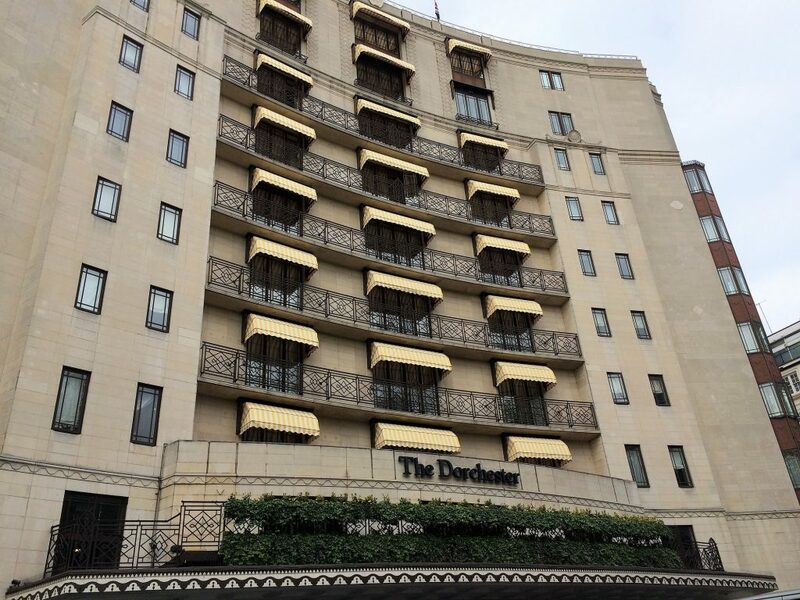 The site of the Dorchester hotel was purchased by Sir Robert McAlpine & Sons and Gordon Hotels Ltd. in 1926. The two companies commissioned Sir Owen Williams and then William Curtis Green to design a new hotel on the site which was to be ‘the perfect hotel’. 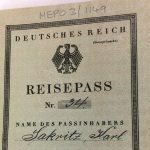 Its grand opening was held on 21 April 1931. 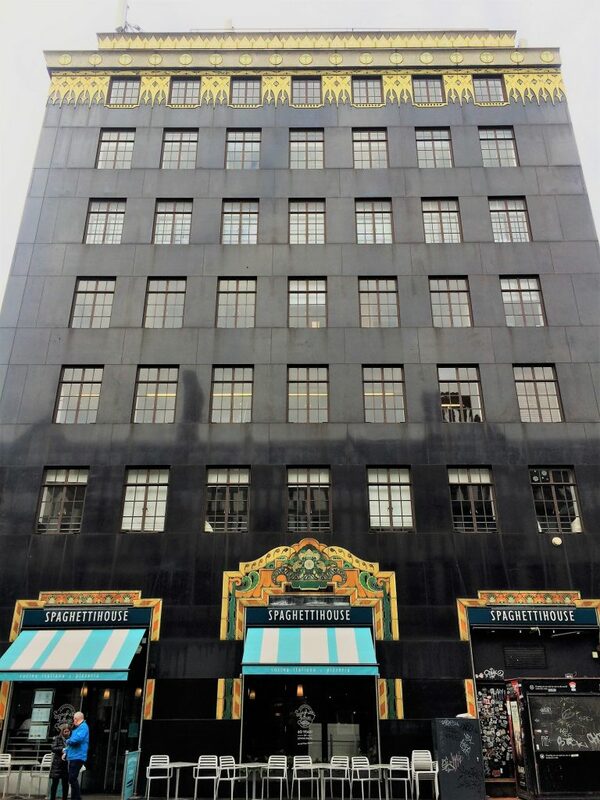 There are many art deco features to be seen in the facade of the building and although there have been many refurbishments and changes made over the years, the original elegant style of the 1920s and 1930s is still maintained. This is the building that inspired this tour in the first place. It is just a residential block of flats situated on Charterhouse Square a short walk from Barbican station. 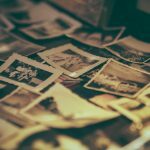 But between 1989 and 2013 it took the role of Whitehaven Mansions, the home of Agatha Christie’s Hercule Poirot in the ITV television series. 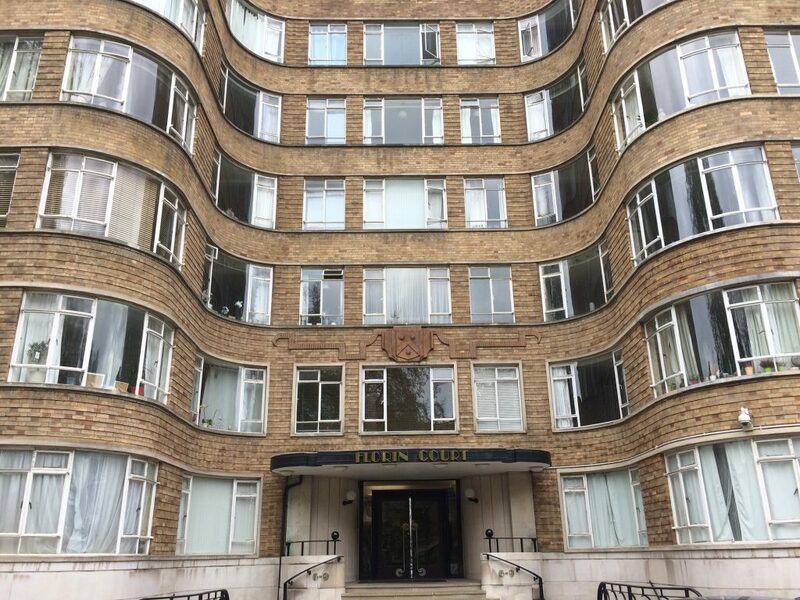 It was built in 1936 by Guy Morgan and Partners and has a really distinctive curved facade and curved glass windows. 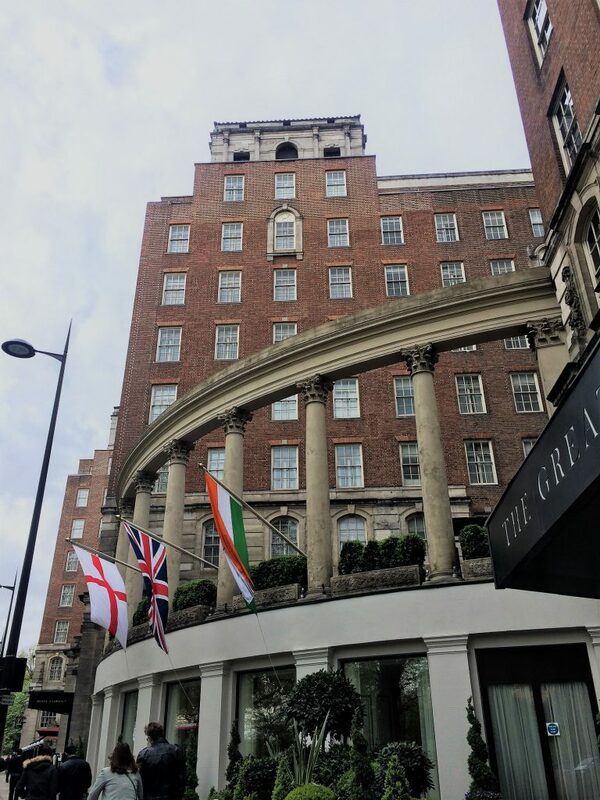 Grosvenor House Hotel opened in 1929 on the site of Grosvenor House, which had been the London residence of the Dukes of Westminster. It was built just before the Dorchester during a period of redevelopment Park Lane. Ideal House is a striking building on the corner of Great Marlborough Street and Argyll Street near Oxford Circus station. 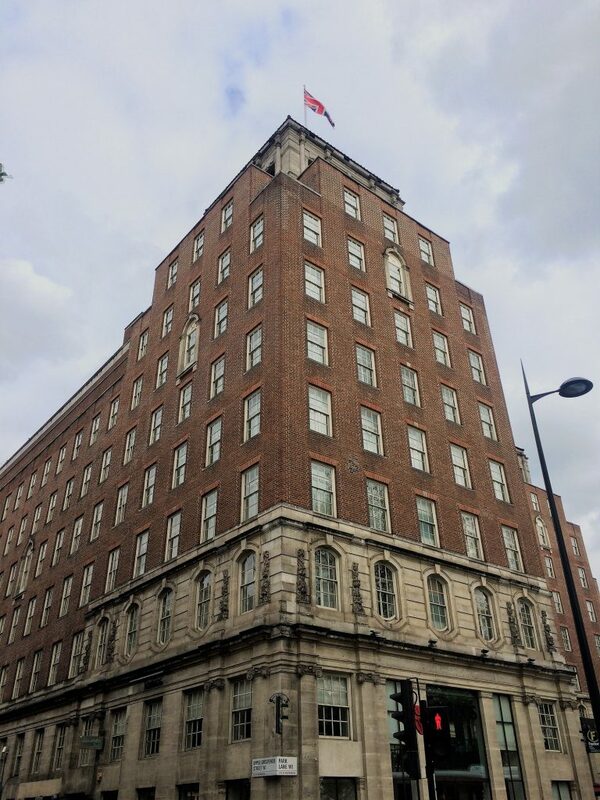 It was built between 1928 and 1929 by architects Raymond Hood and Gordon Jeeves as the London headquarters of the American National Radiator Company. 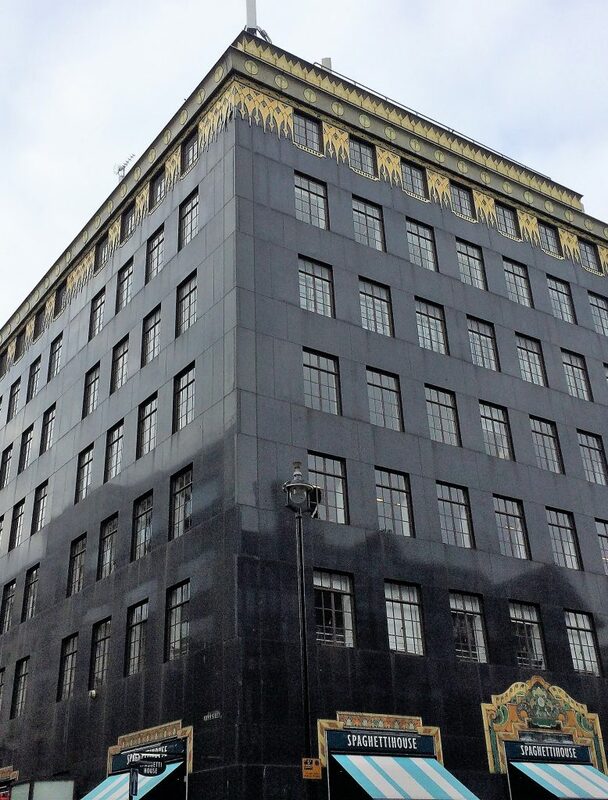 It presents a polished black granite facade and distinctive gold Egyptian decoration around the entrances and along the top of the building, which are really easy to miss from street level. It is a Grade II listed building and now houses Spaghetti House! 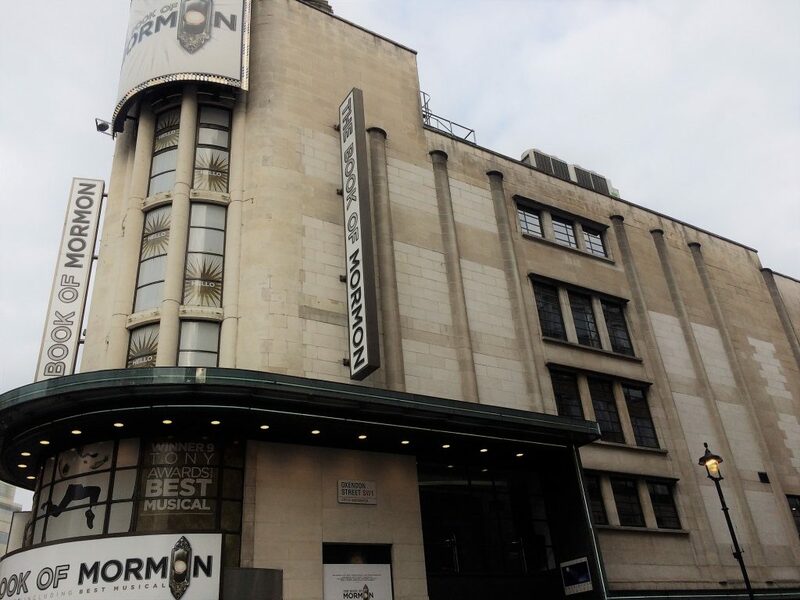 A theatre has existed on this site on Coventry Street in Piccadilly since the late nineteenth century. It was considered too small to accommodate the large number of theatre-goers so in 1937, it was rebuilt in the Art Deco style by architect Robert Cromie. It stands out in the street due to it curved facade and entrance in white and black. 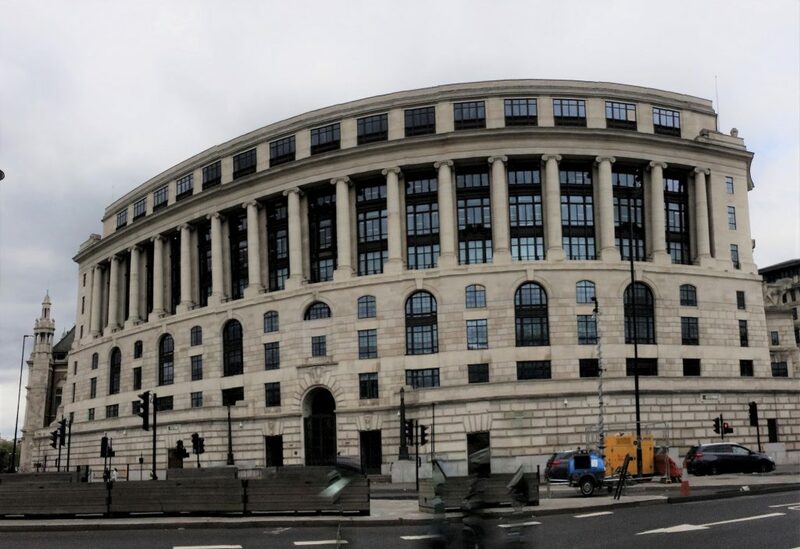 Unilever House is an imposing Grade II listed building, unfortunately situated right on a busy main road on the approach to Blackfriars Bridge. 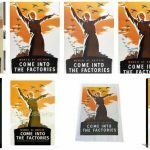 The building was built between 1929 and 1933 as the London headquarters of the soap manufacturing company Lever Brothers, which became Unilever in 1930. It has an enormous curving facade, ionic columns and sculptures of humans, horses, mermaids and mermen. Check out the park lane Grand Sheraton for Art Deco interiors!